This overview of how modern web app architecture works also touches on the latest trends and best practices to consider during development. At Stackify, we understand the amount of effort that goes into creating great applications. That’s why we build tools for Application Performance Management (APM), log management, and a whole suite of application support tools (in one solution) to make your life easier and your apps better. But every developer knows that the foundation of an outstanding application is its architecture. In this overview, we’ll take a closer look at web application architecture, its importance for future growth, current trends, and best practices. 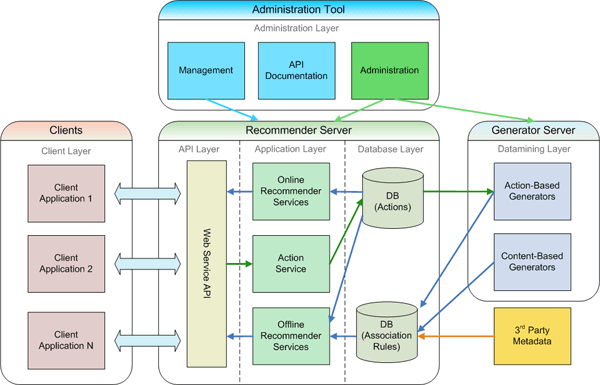 Web application architecture defines the interactions between applications, middleware systems and databases to ensure multiple applications can work together. When a user types in a URL and taps “Go,” the browser will find the Internet-facing computer the website lives on and requests that particular page. The server then responds by sending files over to the browser. After that action, the browser executes those files to show the requested page to the user. Now, the user gets to interact with the website. Of course, all of these actions are executed within a matter of seconds. Otherwise, users wouldn’t bother with websites. What’s important here is the code, which has been parsed by the browser. This very code may or may not have specific instructions telling the browser how to react to a wide swath of inputs. As a result, web application architecture includes all sub-components and external applications interchanges for an entire software application. Of course, it is designed to function efficiently while meeting its specific needs and goals. Web application architecture is critical since the majority of global network traffic, and every single app and device uses web-based communication. It deals with scale, efficiency, robustness, and security. These are then parsed by the user’s browser. Moreover, client-side code can be seen and edited by the user. Plus, it has to communicate only through HTTP requests and cannot read files off of a server directly. Furthermore, it reacts to user input. As technology continues to evolve, so does web application architecture. One such trend is the use of and creation of service-oriented architecture. This is where most of the code for the entire application exists as services. In addition, each has its own HTTP API. As a result, one facet of the code can make a request to another part of the code–which may be running on a different server. The user then gets a more natural experience with limited page load interruptions. At their core, many web applications are built around objects. The objects are stored in tables via an SQL database. Each row in a table has a particular record. So, with relational databases, it is all about relations. You can call on records just by listing the row and column for a target data point. With the two above trends, web apps are now much better suited for viewing on multiple platforms and multiple devices. Even when most of the code for the apps remain the same, they can still be viewed clearly and easily on a smaller screen. The reason the above factors are necessary is because, with the right attributes, you can build a better app. Not to mention, by supporting horizontal and vertical growth, software deployment is much more efficient, user-friendly and reliable. While web application architecture is vitally important, don’t forget to check out our BuildBetter archives for more tips and resources on building better apps from planning to post-production.